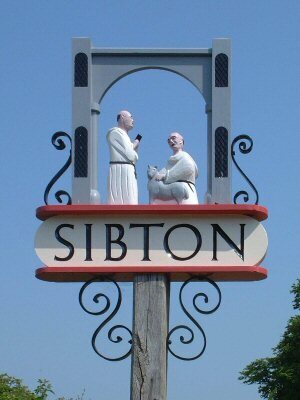 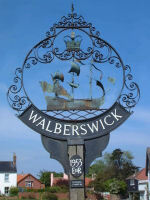 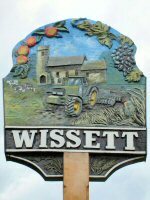 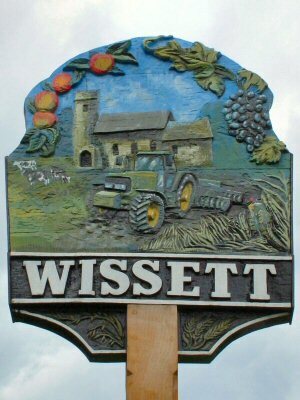 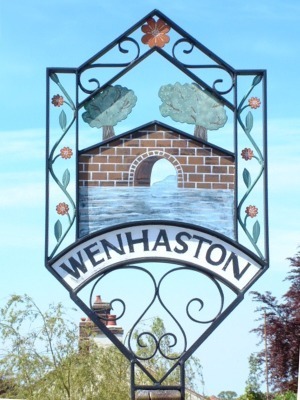 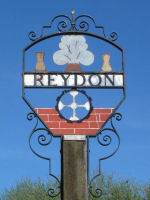 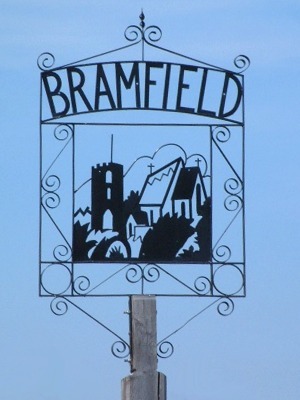 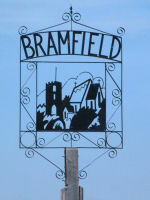 Many Suffolk villages and most towns have a sign such as these. 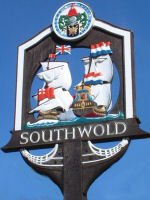 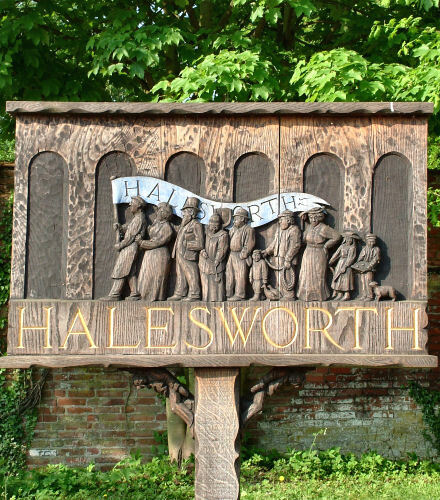 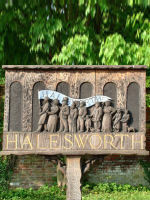 They sometimes depict famous historical scenes connected to the location, such as the Battle of Solebay in 1672 on the Southwold sign. 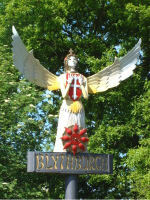 Often they reflect familiar features of the village such as the unique detached round tower of Bramfield Church or the magnificent carved angels in the roof of Blythburgh Church. 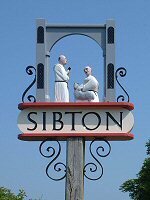 Click on a thumbnail picture to see a bigger picture.